An inner city linear park in Central Los Angeles located on the site of old trolley lines. The park has different zones that range from active to passive. 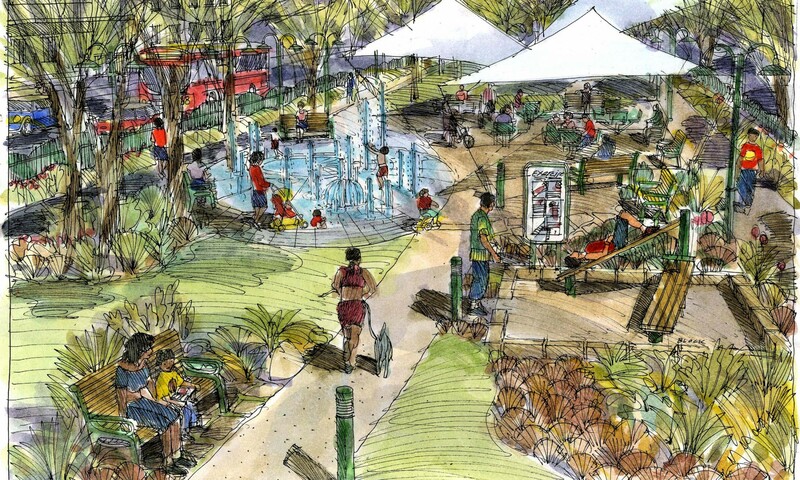 We see the active zone with an interactive fountain, exercise area and jogging trail. Below a view of the entry to the linear park, gateway, taking inspiration from the nearby Watts Towers mosaic designs.